No problem when you have time ! I finally got to try your beatslicer out. It's is pretty nice, especially the DEV patches you sent to me! However I'm a bit unsure of how to use it atm. My my main goal is a multitrack Audio Looper that can also do the magic stuff like mangling, pitching etc. Step one is building the multitrack looper, I did so using the looper blocks of @rbrt. 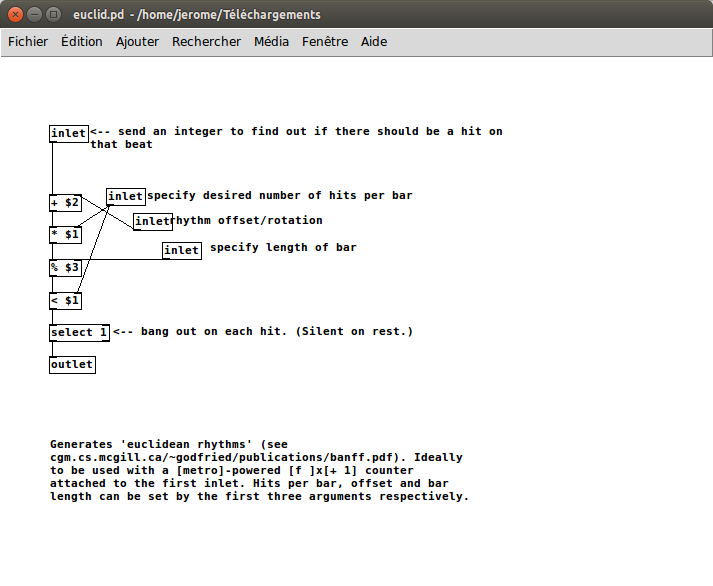 The next step would be to integrate the mangling elements, like your beat detection slicing. However this would be combining two different systems, it would be the most efficient to have all in one system and i'm a bit unsure how to do that. I will check out @JeromeB 's stuff real soon,'cause I just tried to patch a live-slicer some days ago..and I wasn't really satisfied with my own objects..
...but right now I'm really busy on some new midi and sequencer stuff.. When I would have time, I want to write a midi looper. My goal is to record each slice detection in a midi recorder in order to have the same function as a looper but with new capacities like removing a slice, change pitch (with and without change length of the slice), change sequence tempo without change pitch of each slice, reverse slice, retrig slice, etc. All of this in live mode. But my ideas on the matter are not too clear, I am lacking time to investigate this. cool I think we want to to very similiar stuff! writing positions of transients to a table would be a great first step. All the other stuff you describe is I think achievable with patching. But for me I already have the looper environment, I only need the information where in the table the transients are, then I could do what I want with this information. Hi @JeromeB I must say I really enjoy using your objects, so thanks and bravo for the hard work. I was playing around with the turing.axo object today, it's really amazing and great fun to use live (and just plain useful I must admit), but I was wondering if there was a way for the bit buffer to be adjustable so that we could have 3 / 5 / 7 / 9 bar loops instead of always 4 ? Hi @mtyas. Thank you very much for your feedback. I think it's possible to have an adjustable buffer length. But, I work on an alternative : a mix between an euclidean sequencer and an turing sequencer. 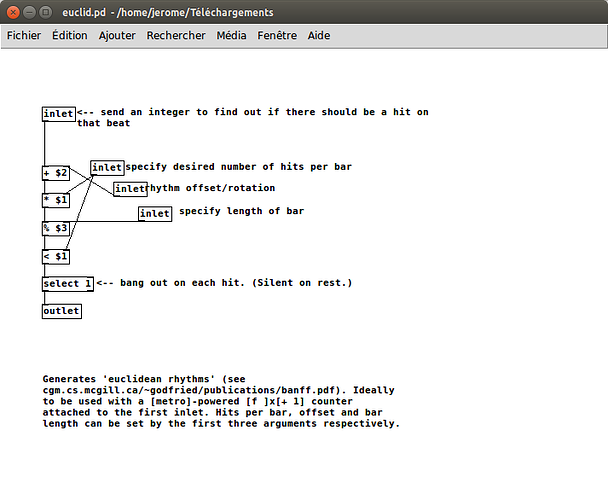 I use a cpu efficient euclidean rhythms generator inspired by an old puredata patch. Turing sequencer produce an periodic random number. This number is used as an array index, of pentatonic scale. Euclidean algorithm is used for the rhythm. I have a patch for that, as an attachment of this post. I have to go on a business trip. I'm looking at how to change the length of the buffer when I get back. PS : Recently I write all my sequencers for a STM32F429 card. That way I can keep some CPU for signal processing and I have a display. Requires only a few resistors, an optocoupler and a diode. Euclidean + turing sequencer on an external STM32F49I-Discovery board. MDP32 in order to control STM32F429I board. Midi out to axoloti board.